All General Access Labs are available 24 Hours. For EB building and lab access via key card, see Student Services in EB100. An MCECS account is required. CS students must visit the CS tutors to request access activation. All Engineering students have access to EB 325, and FAB 55-17. You may have access to other labs biased on your major. All other lab access may be granted through your department. 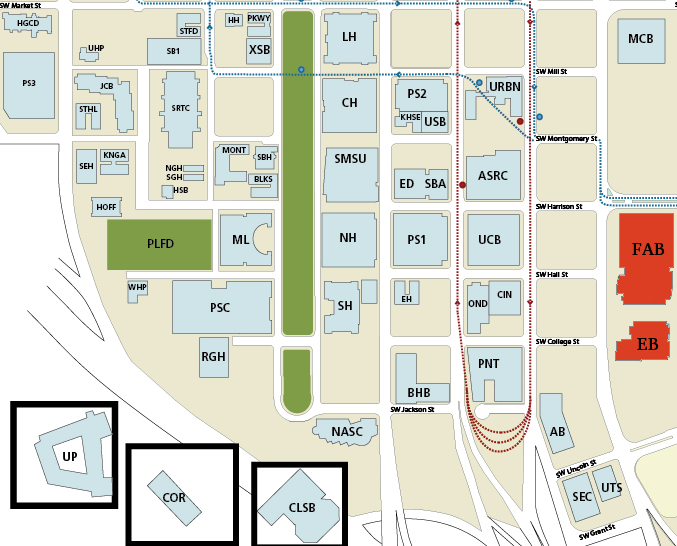 On this map EB is the Engineering Building, and FAB is the Fourth Avenue Building. Lab rules and guidelines can be found in the Guidelines section under Lab Rules. In addition to the labs listed above, there are also research labs, class-related labs, and special-project labs. Access to restricted labs is handled by the affiliated departments. We make every effort to ensure that the labs are open during the posted hours. However, we may be forced to close one or more labs due to class lab reservations or unforeseeable circumstances. Check the posted calendars outside of the labs and check out the CAT news page and CAT twitter for alerts and important notices. 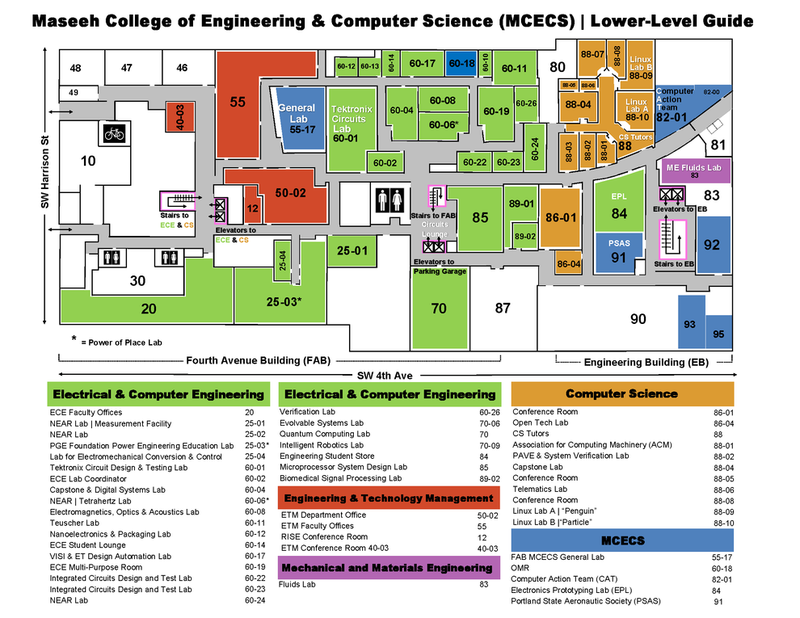 There are also computer labs not run by the CAT and are not a part of MCECS. These student labs are managed and supported by OIT. Learn more about these spaces here. This will navigate away from the CAT website.